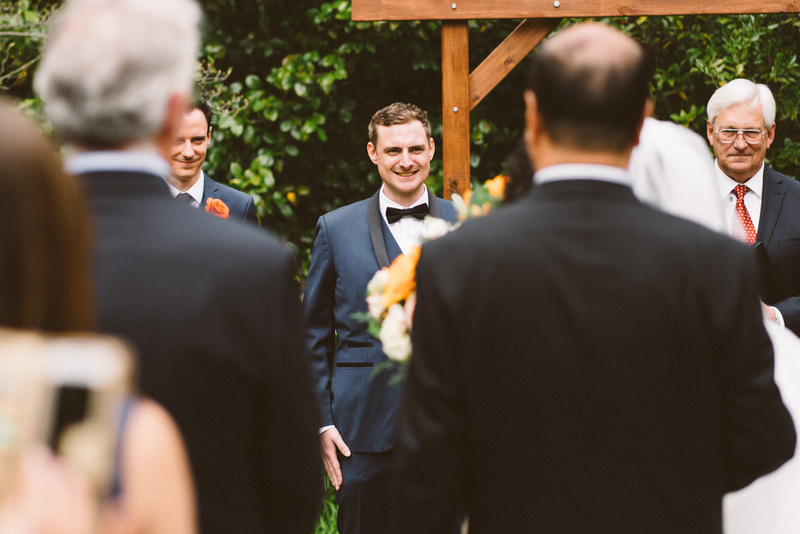 Four years ago I had the pleasure of photographing a friends wedding in the Botanic gardens (See Marcus & Katie) This time it was the younger brother Jono’s turn to tie the knot to Flora. 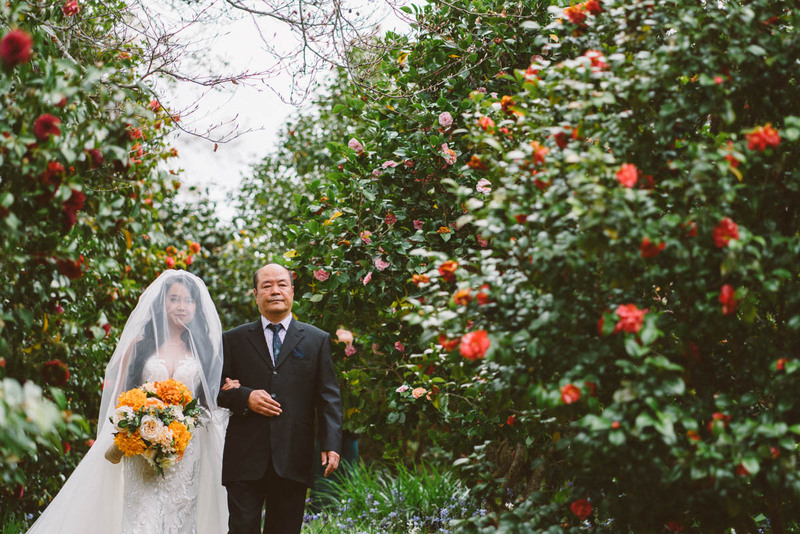 Jono & Flora’s wedding was a fine example of the friendship & ties that exist between between China & Australia. 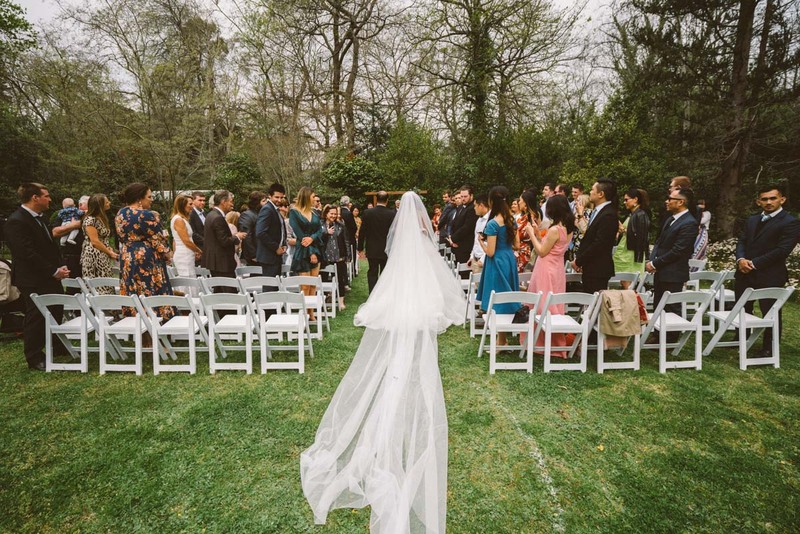 While the wedding combined some traditional Chinese elements, it was very much a modern Australian wedding. 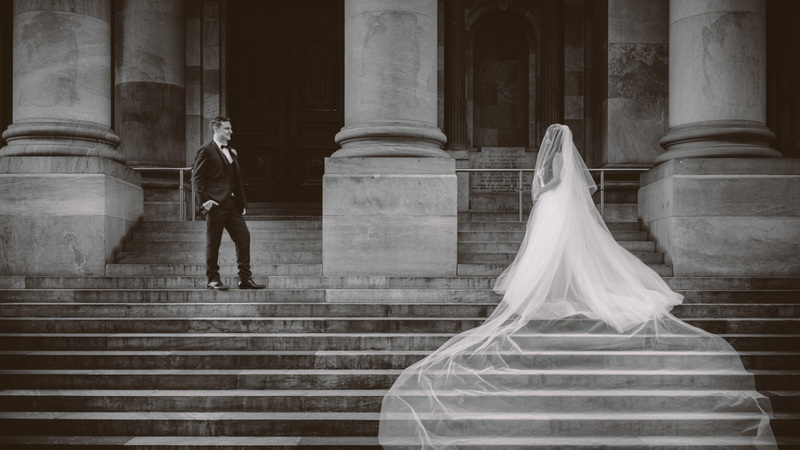 Jono & Flora’s garden ceremony was held on the grounds of Stangate House, with a lavish reception held inside the Mortlock wing at the State Library of South Australia. 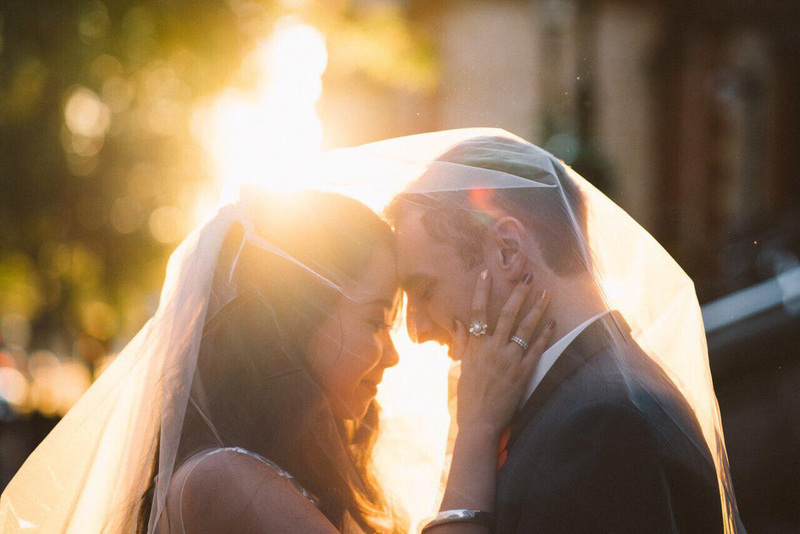 For Jono & Flora’s pre-wedding preparation, the groom prepared with the boys at the Mayfair Hotel while the the bride & girls prepared at Stangate House. Flora’s ceremony wedding dress ‘Autumn’ was from Wedding Whispers in Cambelltown. After the ceremony & photos Flora changed to a traditional red chinese dress in time for the reception. A second dress change saw Flora wearing a stunning blue floral strapless evening gown by BNKR for her bridal waltz with Jono. 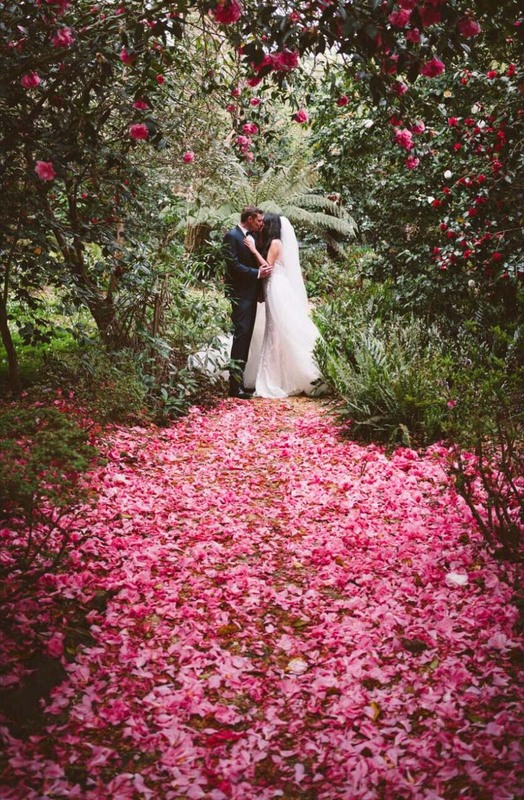 Flowers were a personal creation by Flora & Jono made with artificial flower sourced from various websites. 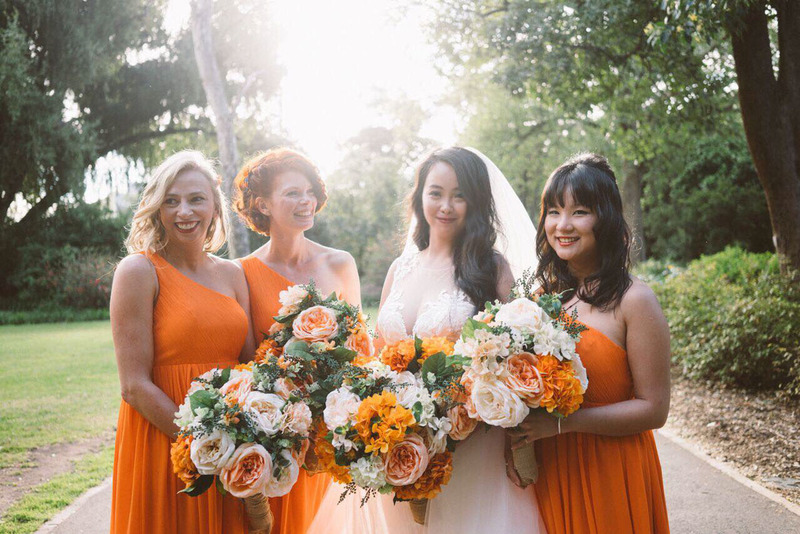 For the wedding cake Catherine Wang created a two tier piece decorated orange to match the orange theme of the day. 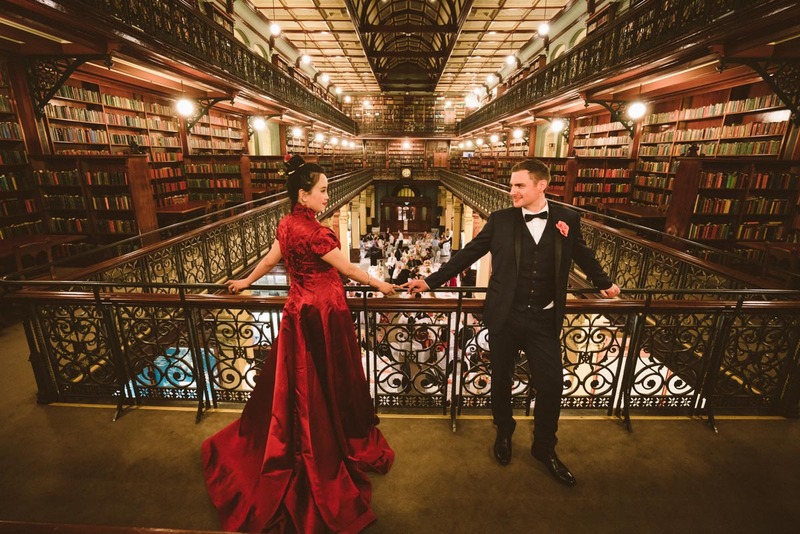 Flora & Jono took advantage of the Mortlock wing for photos overlooking the reception from the second floor. 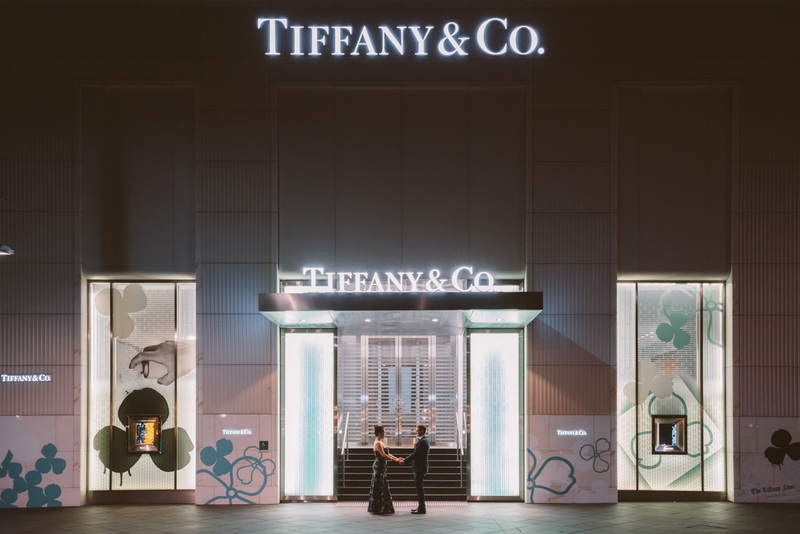 We also had the opportunity for a quick shoot after the reception in front of the Tiffany & Co building to bring the night to an end. The newlyweds intend on doing it all over again with their wedding in Beijing later this year.